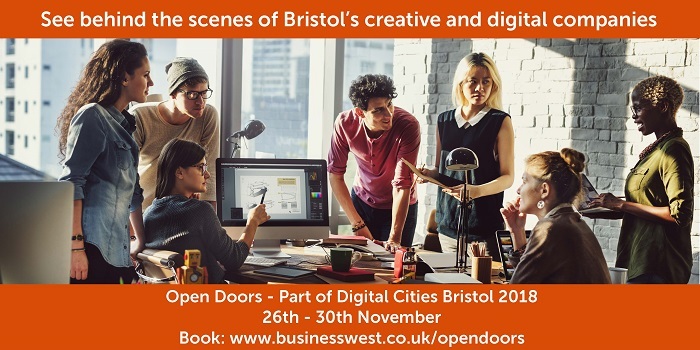 Open Doors is an opportunity to join small groups visiting successful creative & digital businesses across Bristol for a look behind the scenes of this buzzing industry. Whether a client or prosepctive employee come and join us for an hour to learn how we think and how we operate. We will introduce our view of the digital world and debate the strategic, creative and technical challenges that we solve for our clients. Join Nology & Reach Robotics for an evening of pizza, beer and interactive robot play followed by an insightful Q&A about breaking into the tech industry from leading experts. Colourist Tim Bolt will offer an introduction to Colour Grading for television. Evolutions Bristol has state-of-the-art tapeless technology and includes cutting rooms, Avid Symphony online suites, ProTools audio suites and Baselight colour grading suites. The facility offers full post production services from camera through to delivery for transmission. Come and find out about today’s mobile technologies in order to create your own predictions for 2019! Come and meet the saintnicks collective to ask your questions about how to break into the agency world. If you're a school-leaver, college or university graduate and are looking for guidance and insight into a creative business, then this is the session for you. Within 4 separate, sector specific workshops, one or a team of specialist Recruitment Consultants will be giving advice on career opportunities and avenues - with space to ask all the questions you have about the sector you are interested in. Expert consultants can also offer support and their expertise to adjust and tweak your CV or portfolio if you'd like to bring them in. Join Mr B and Friends to hear about how to blend design craft and technology to create powerful online brand experiences. 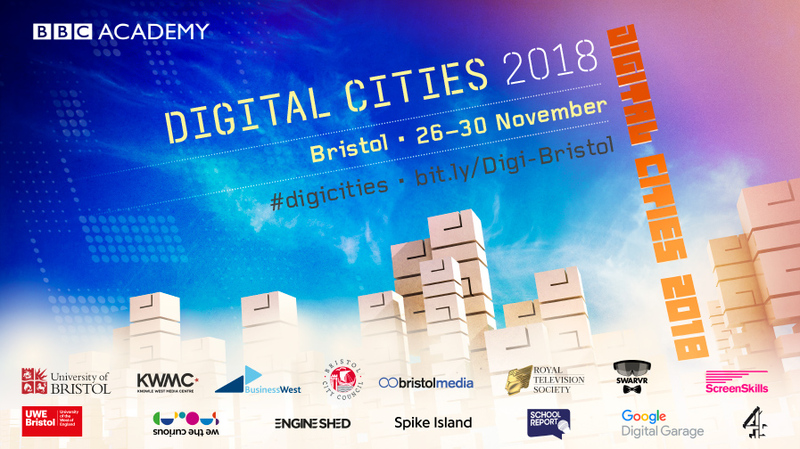 During this session Creative Director, Kate Gorringe, and Digital Strategy Director, Adrian Bryers, will discuss how they collaborate to create beautiful but user-friendly online experiences. You'll also get the chance to fire questions at their panel of experts, talk to current team members across all levels of the business, and enjoy some refreshments and networking at their offices in Temple Quay. Come and see what takes place behind the doors of one of Bristol's top independent production companies. If you are new to the industry and want to learn more about the various roles in TV, or if you are a media professional but have not worked for Icon Films – then come in and take a peek. Take a behind the scenes tour and meet the creatives who work in Spike Island's building: a former tea packing factory now home to hundreds of artists, creative businesses, and a public contemporary art gallery. Following the tour, join us for light refreshments and networking in Spike Design. Delving into some recent campaigns and creative work, Creative Director, Ian Bates, and Social Media Creative, Katie Tudor, offer an inspiring look at how creativity has been used to influence change across the world. This session is designed to spark debate, so come with an open mind and let us fuel your creativity. Join the Proctors experts as they take you through the creative and digital journey, from brief to final product. Gain insight into each crucial stage, as described by those who make it happen, take the opportunity to pick their brains at the Q+A session, or have a more 1:1 conversation over drinks later on. Join us for a guided tour of the studio where we will introduce you to the space and the community who reside here. We are also interested to hear about what you are up to! These tours will appeal to people interested in creative media and technology as well as anyone wanting to find out more about what we do . Come along on 30th November and find out about our brands, our culture, our jobs and the exciting ever-changing world of media. Rather than describe Aspect’s culture, come and take a look and meet the team and...watch some of our latest work, take a tour around our offices and attend a short presentation on the challenges of creating engaging content. Join company directors Jeremy Routledge and Steve Gear in our Spike Island studio to hear about Calling The Shots' approach to the development of emerging talent. From Random Acts to the BFI Animation Camp and on to new opportunities. Come along, watch some films and find out more about how we work in Bristol, the South West and further afield. After the presentation, the Calling The Shots team will be available for an informal chat and networking session. Every little moment affects how consumers view and engage with a brand and we'd like to show you some of our thinking. Join us for a session on blending creative and tech to enhance brands with a chance to ask us all your questions. Fat Media is offering a workshop for those who want to expand their job prospects, look beyond the obvious, and learn how their creative abilities can help them land a role in marketing. Our team will be offering an insight into how various creative skill sets can add value and be applied to a marketing role. Hear from inspirational and informative speakers, join sector specific workshops and discuss the future of skills in the West of England. We have recently published our 2018 Local Sector Skills Statements - a breakdown of the skills challenges affecting businesses in the West of England. The statements cover 12 different sectors and are available for free.